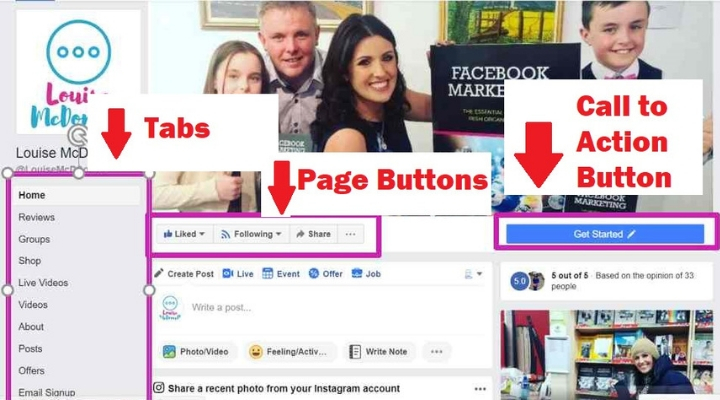 The template that you use for your Facebook Business Page determines the page tabs, call to action button and the buttons on your page. Businesses should pay attention to their template and its set up to ensure they represent their brand effectively and communicate core messages to their target audiences. For example an online store will want to give priority to a “shop” tab and a “shop now” call to action button. 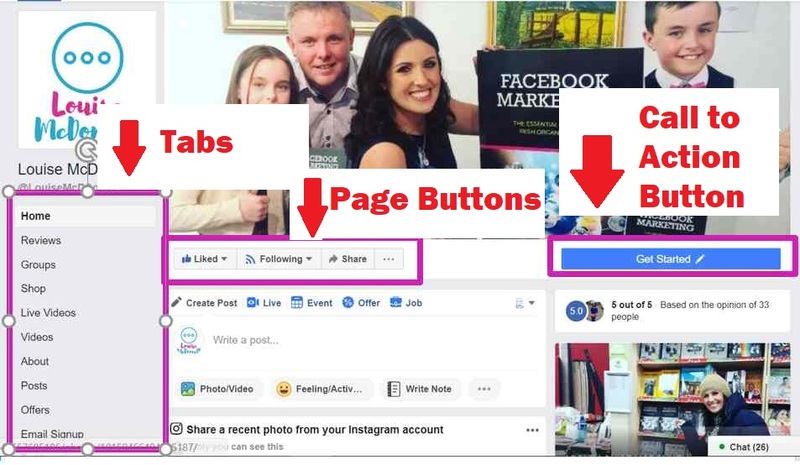 Businesses that have invested a lot of time and money in producing videos will want to prioritize this on the page tabs. Service companies will want to showcase the “services” tab and so on. 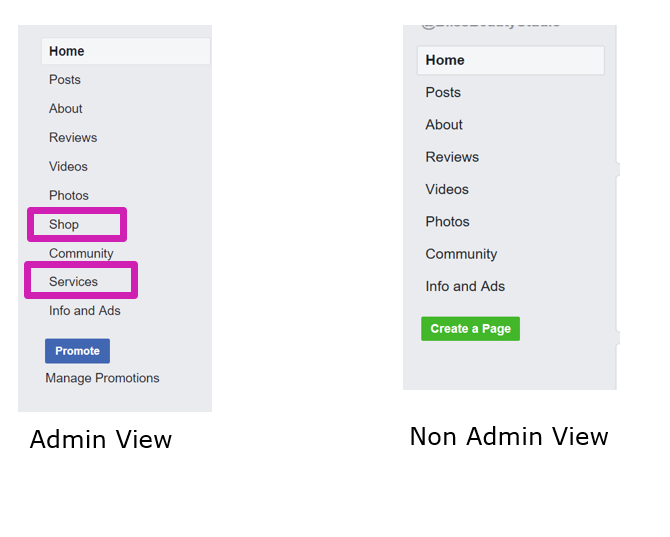 Facebook page administrators have a different view of the page tabs. Tabs that you have “turned on” but not set up will be visible to you, but not to your page visitors. 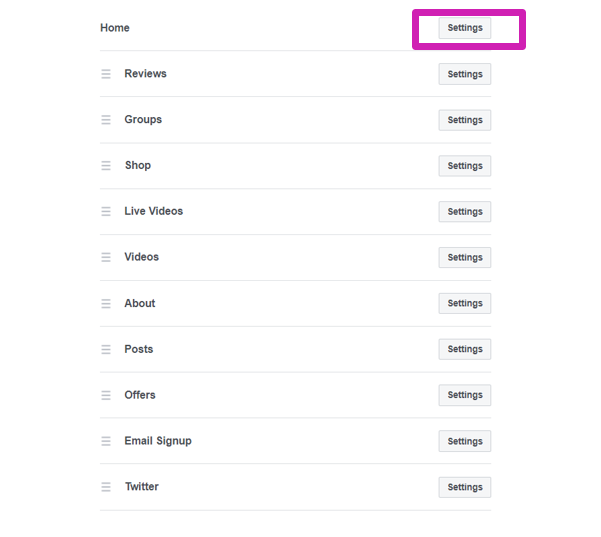 In the example below you the Page Administrator (image on the left) can see the “Shop” tab and the “Services” tab as they are “turned on” under the page settings. But as they are not set up, these tabs are not visible to anyone visiting the page (image on the right). 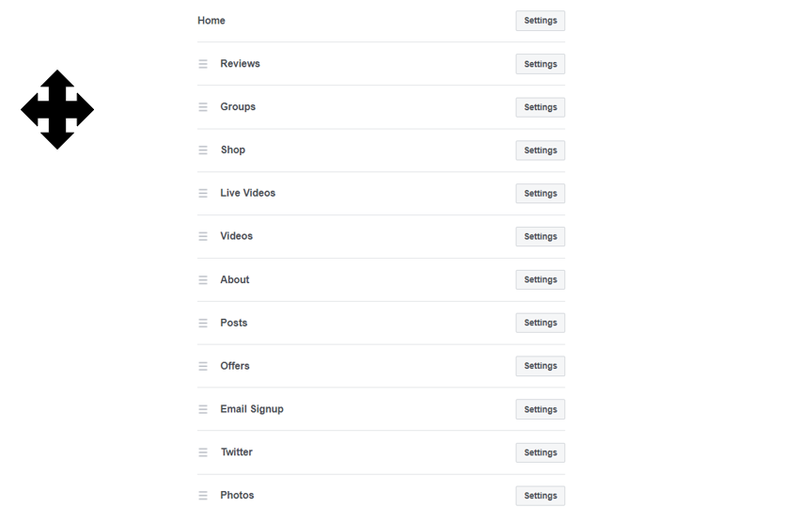 You can access your Facebook Business page template by selecting “Settings” at the top right hand side of the page. Next select “Templates and tabs” from the left hand side menu. This used to be called “Edit Page”. In the main panel on the page you will be able to see the current template for your business page. There are currently 10 templates to choose from. A summary of how these ten templates differ from each other is at the end of this article. 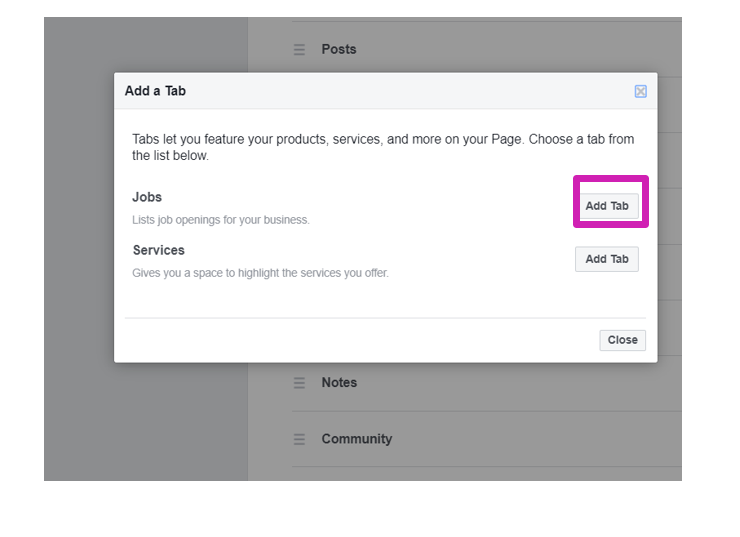 The template determines the page tabs, call to action button and the buttons on your page. Each template has different tabs and the order in which the tabs appear on your page differs too. 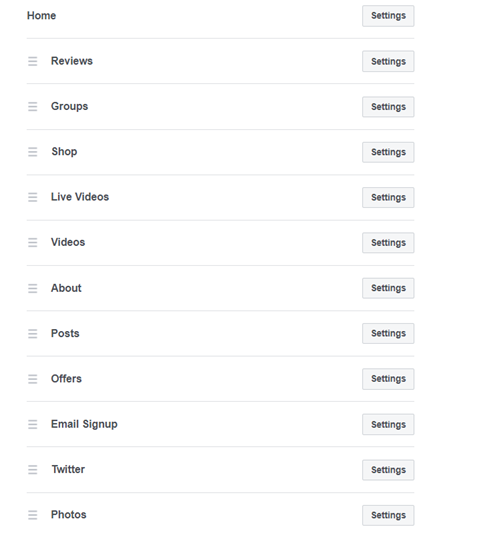 If you want to customise the tabs on your page turn the “Use Default Tabs” button off, as seen in the image below. If you scroll down the page (under “Use Default Tabs”) you will see the tabs that are currently enabled with your template. You can add a new tab by selecting the “Add a Tab” button underneath the current tabs on the left hand side. On selecting the “Add a Tab” option you will then the list of available tabs. 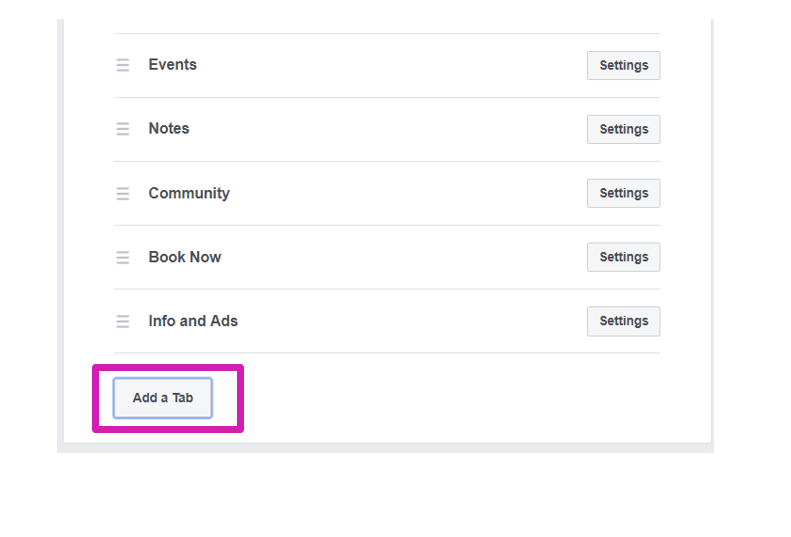 Select the “Add a Tab” to add it to your page. This adds the tab to your page. It wont appear to page visitors until you set it up. To set up tabs (eg. Shop, Services, etc) you need to come out of settings, go to your page and select the tab. To reorder tabs, hover over the tabs until the curser icon appears, then select the tab and move it. To turn page tabs off and on, select the “settings” option on the right hand side of the tab. A review of 3 business pages, their templates and some other page tips!! Is your Facebook Page Template due to change today? 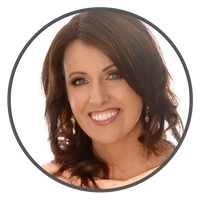 If not – it will soon..
– A review of 3 Pages Templates with other page tips!! All comments and questions welcome! Heads up for 2019! Here are my Social Media Predictions!